The National Women’s Soccer League Players Association has officially been recognized by the league as the exclusive bargaining representative of NWSL players, marking a significant step in players’ quests for increased professionalization. The NWSL and the PA announced the news on Thursday after several months of discussion. Significantly, the league voluntarily recognized the NWSLPA, providing a window into how each party hopes the relationship will materialize. 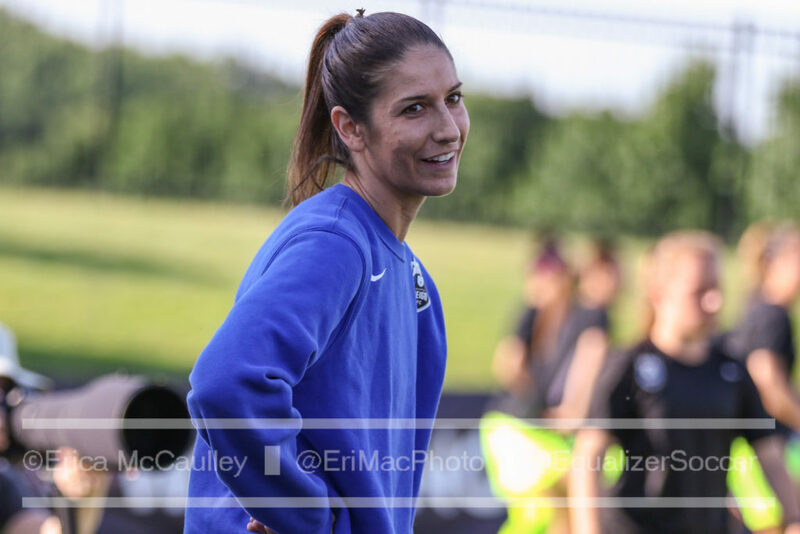 NWSLPA president and Seattle Reign FC’s Yael Averbuch has stressed the collaborative nature that the PA wishes to take. Traditionally, a collective bargaining agreement would be high on the to-do list. CBAs are tense, delicate dances in sports, as the U.S. women’s national team’s recent process reminded. The WNBPA recently announced it would not be renewing its current agreement with the WNBA as part of the fight for improved pay and conditions. ‘Fight’ is the operative word in so many cases. But Averbuch tells The Equalizer that negotiating a CBA is not on the immediate agenda. Instead, the goals are continued and increased communication between the parties, each recognizing the still-fledgling league’s relative restrictions. 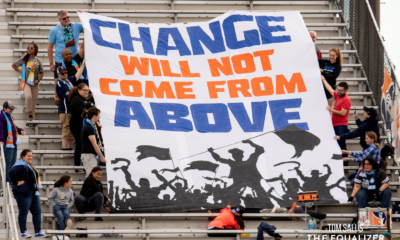 The NWSL has reciprocated that collaborative spirit by voluntarily recognizing the PA. The other option was for the PA to go to the National Labor Relations Board and achieve recognition through the court process, which would have set a very different tone. Some 80 percent of eligible NWSL players signed labor cards, Averbuch says, with those unaccounted for more missing in action – a slew of NWSL players are currently in Australia playing in the W-League, for example – rather than opposing the move. Exactly who is eligible for representation from the PA is an important point: The NWSLPA represents any player who signs a standard player agreement. In NWSL terms, this means all players except U.S. allocated players, who are contracted and paid by U.S. Soccer, even for their club play. Canadian players are covered by the PA because of their contract structure; they sign standard player agreements, and Canada Soccer then covers their salaries for their respective teams. These NWSLPA are those who are entrenched in more complicated battles, away from the spotlight of the U.S. women’s national team. Those contracted by standard player agreements are fighting for better pay and conditions all while dealing with the Byzantine rules of a single-entity system which see their “rights” kept or traded without the players having any say in which teams they play for. That example is among the most pressing of topics as the NWSL enters its seventh season in 2019. The most important step in the transition from the PA as an unofficial body to a recognized union is that it gives players legal rights in their pursuit of improved labor conditions. By recognizing the PA as the league’s players union, the NWSL will be legally required to provide certain information requested by players. The NWSL would, for example, be legally required to notify players of changes to the standard player agreement contract. These aren’t revolutionary developments, but as Averbuch notes, they simply weren’t even talked about in the past. As The Equalizer detailed in July, the relationship between the NWSLPA and the league has slowly progressed. Regularly scheduled phone calls began taking place in 2018 to keep players informed. Averbuch is president of the Players Association. 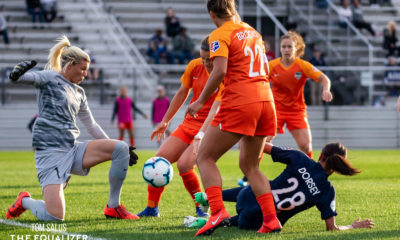 North Carolina Courage midfielder McCall Zerboni is vice president, Portland Thorns FC defender Emily Menges is treasurer, and Utah Royals FC goalkeeper Nicole Barnhart is secretary. 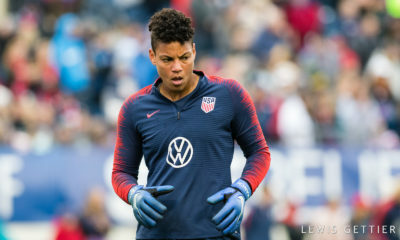 There are 32 player representatives across the league’s nine teams, and the NWSLPA is represented legally by former player and current attorney Meghann Burke. The MLSPA and USWNTPA were supportive and helpful throughout the process, Averbuch said. The USWNTPA has guided the NWSLPA throughout its early existence, including making a donation to help it get started.